All of our clients have different needs. 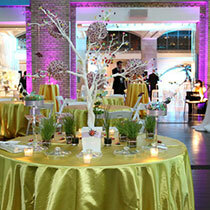 We are incredibly flexible providing as much or as little event support you require. Our clients are primarily in-house corporate event managers with Fortune 500 corporations and leading associations across Canada. We at Eclectic act in the role as their outside support service/supplier. Led by a professional that holds internationally recognized designations as a CSEP and CMP, our team understands the level of professionalism and sophistication that is expected in an event partner. We understand wholly what our corporate clients need to achieve at every step of the process. We provide premium event production & management for the corporate market on a national scope. Logistical Planning including floor plans, production schedules, conference resumes, agenda development, etc. We provide premium event production & management for the corporate market on a national scope.